The word ‘Sackville’ crops up several times across Hove. Buying a property recently on Sackville Road, the most obvious example, prompted me to find out why this is the case. One could write a whole book on the history of the Sackville family. Herbrand de Sauqueville was Lord of Sauqeville in Normandy and was certainly in England four years after the Conquest. The family estate became the largest in East Sussex. Thomas Sackville was Elizabeth I’s second cousin and, in 1566, she granted Knole in Kent, one of the largest houses in England, to him. He was created 1st Earl of Dorset in 1604. The family title was, however, upgraded in 1720 when Lionel Sackville, the 7th Earl, was created 1st Duke. Knole was passed to the National Trust in 1946 but the family retained many of its treasures, its park and a lease on various apartments. Unsurprisingly, Lewes, Worthing and, I’m sure, many other towns across Sussex also features road names that include the word ‘Sackville’. 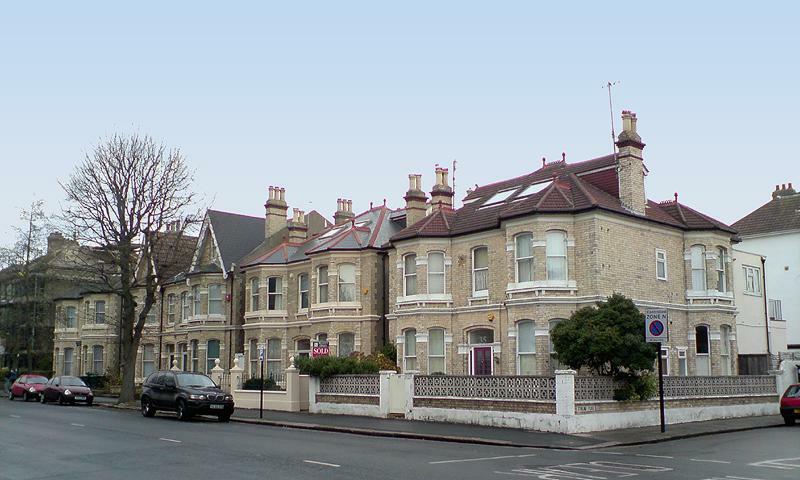 Sackville Road itself was built on land owned by the Vallance Estate and was originally called ‘Hove Drove’. Residents campaigned for the change for two reasons: their road was often confused with ‘The Drive’ nearby and the word ‘Drove’ gives an unfavourable rural connotation. Some of the early villas were designed by the architects of the Vallance Estate, Lainson & Son. Thomas Lainson was responsible for many notable local buildings including Middle Street Synagogue, Adelaide Mansions, the Royal Alexandra Hospital and the home of John Olliver Vallance, Brooker Hall (now Hove Museum). Interestingly, the deeds of my building mention Emma Kate Vallance (who was, by that time, John Olliver Vallance’s widow) and the Trustees of the Vallance Estate (her brothers, H. J. R. & W. S. Livesay). Sackville Gardens off New Church Road, like Sackville Road, was developed in the late 1800s in a variety of colours and materials. It is a delightful road but is under attack; potentially on two fronts. 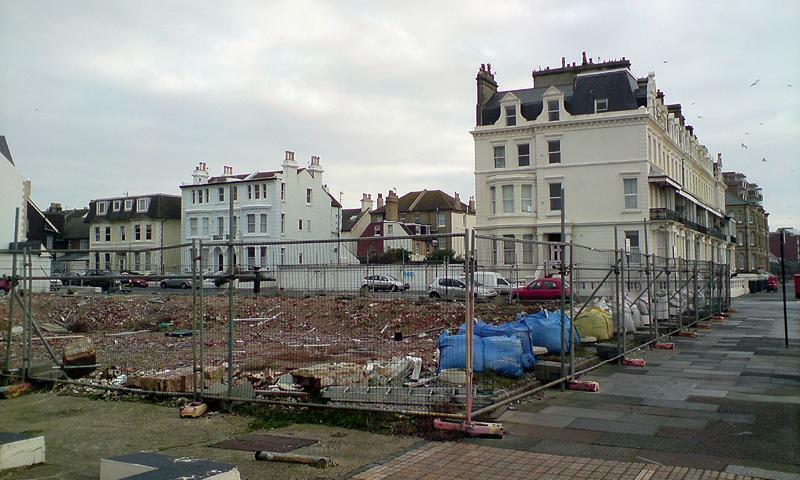 The collapse of the Sackville Hotel, on the seafront end of the road, was, I hope, simply due to incompetence. On the north end of the road, the approval of the plans for the Westbourne Hospital site by Brighton & Hove City Council has angered and upset many due to the sheer ugliness of the proposed structure. Quite understandably, local residents are now expecting the worst for the Sackville Hotel site.